Do You Hate How Your Workplace Looks? Studies have shown that workplace appearance affects employee performance. 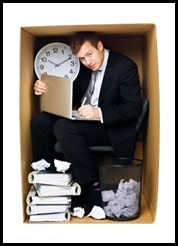 If you think about it, who wants to spend 8 hours of their day in a building, room or cubical that is messy, dirty or drab? Our office recently got a facelift. Our decor had not changed much over the past 10 years and was looking dingy. Our office is always neat and clean, and would pass the white glove test any day. The problem was that everything looked old, dated and it was beginning to be a bit depressing for us. It is amazing what new wallpaper, paint and flooring will do. We also purchased new paintings from a local artist. What a lift is has given us. We love how it looks and makes us feel. It is fresh and bright. Our patients comment everyday on how nice the office looks. It has made a big difference in many ways. It was well worth the time and unexpected troubles to get it done. I read a great story once about a pediatric dentist who decorated his office in children story themes. The whole office was bright and beautiful. He had a yellow brick road that the children would take to the treatment rooms and each room was a different theme. He had hot air balloons hanging from the ceilings and the ceilings were painted with characters for the children to look at when they were getting their teeth worked on. Everyone loved his office as it made them feel great when they were there. It was fairy tale land. This story says it all about workplace appearance and the affects it can have. Does your workplace need a facelift? Just some small changes can make a big difference to those who work there. This entry was posted on Tuesday, July 28th, 2015 at 8:00 am by Tina Del Buono, PMAC. Filed under Business Improvement, Happiness, Manager Topics, Motivational. You can follow any responses to this entry through the RSS 2.0 feed. Both comments and pings are currently closed.